A quick reflex saw him turn Benedikt Höwedes's bullet header over, but Roman Bürki could do nothing to keep Thilo Kehrer's well placed shot out in the 77th minute of Saturday's 1-1 draw with Schalke in the 150th Revierderby. Click here to see how your Official Fantasy Bundesliga team performed on Matchday 26. 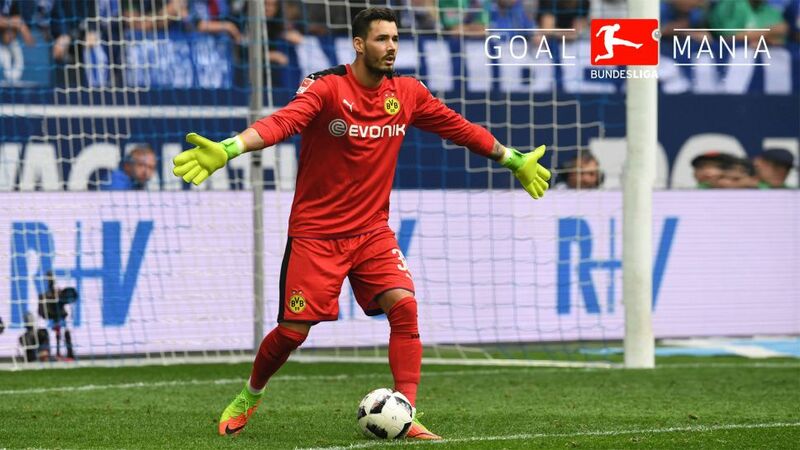 Question: Roman Bürki, is just a point from the derby here with Schalke too little for Dortmund, do you think? Roman Bürki: I think you can say that, yes. If you look at how the game went, we took the lead, then had great chances to make it 2-0 and we could have created even more chances with a bit better build-up play. That just allowed Schalke to believe that they could still get something out of the game, and then it happened. For me, it feels like two points lost. Bürki: Yes, there's that too, of course, but I think we were focusing too much on just one player in that moment and we lost track of Thilo Kehrer, who was pretty much left to his own devices to shoot. It was certainly an unfortunate goal. Question: How was it for you, as the goalkeeper, to watch on from a distance as your teammates missed so many chances? Do you start to lose belief yourself? Bürki: No, not at all. We've got so much quality in our attack, and I always say that the most difficult part of football can be scoring goals. It was no different in this game against Schalke. I'm glad that Auba got one and hopefully he'll get another in our next game. It was just a pity in the end that we couldn't get that second goal straight after our first, but I've got no fears about our attack losing its sharpness. Click here for our full match report. Question: In the end, the game could have turned around completely with Schalke gaining the upper hand. How do you explain that? Bürki: Their equaliser gave them a big boost. They were playing towards their fans in the second half and that also gave them an additional lift. We know all about that from our own home games. There was a lot of emotion in the game towards the end and Schalke were able to build up some momentum. Question: Were Dortmund lacking that little bit extra; that final bit of determination? Bürki: I wouldn't doubt our mentality, effort and determination at all. We played a good game and we fought hard, winning a lot of tackles and also making life hard for our opponents. Up to the equaliser, we were clearly dominating the game. We just needed to score another goal, that was it. Then the game would have been over, but it remained tight.